My first day of NaNoWriMo! 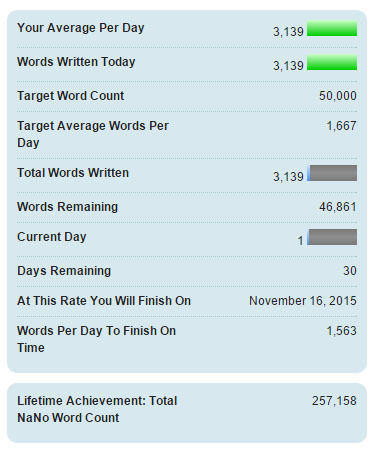 I'm proud to say this is my best first day word count in the 6 years I've been doing NaNoWriMo! I'm currently a few thousand words behind right now, but I will battle back! I WILL get 50,000 words this month. I will, I will!